The Pittsburgh Steelers have sent three cornerbacks to the Pro Football Hall of Fame: Jack Butler, Mel Blount and Rod Woodson. While all three earned a ticket to Canton by dominating opposing receivers and quarterbacks, Mel Blount and Jack Butler have also left their mark off the field. Blount so thoroughly dominated opposing receivers that he forced an NFL rule changed that opened up the passing game. Jack Butler, as head of the BLESTO scouting combine, had a role, albeit an indirect one, in constructing the Super Steelers. Now Rod Woodson has a chance to make an even bigger mark. As Yahoo sports writer Eric Edholm details, Rod Woodson is stepping out to work with middle school and high school players in an attempt to make the game safer. Rod Woodson, currently the Oakland Raiders secondary coach, will be working at the Pro Fooball Hall of Fame’s academy to encourage and teach young players to tackle Rugby style. Edholm praises Rod Woodon’s rugby tackle crusade suggesting it might help save the game of football. Edholm probably takes things too far. Nonetheless, no one can question the wisdom of Rod Woodson’s rugby tackle initiative. Los #Steelers deben mejorar el tackleo. No podrían entrenar en temporada baja con Los Pumas? El Dr. de Acero’s 2014 missive, “Mirando Los Steelers, Me Hace Preguntar ¿Tacklear o Golpear?” (Watching the Steelers Forces Me to Ask, “Tackle, or Hit?” speaks directly to the points that Rod Woodson is trying to address – NFL players too often try to hit first and tackle second. Tackling in today’s NFL is more about mustering force and hitting than it is about using technique to bring the person down. Although memory flaws may betray some of the details, I can remember Terry Bradshaw discussing this while doing a Steelers game in the early 1990’s, contrasting the shoulder pads used in the 1970’s with the ones used in the 1990’s. Bradshaw used visuals to depict how “improved” shoulder pad technology allowed players like Delton Hall to use their shoulders like projectiles, barely needing to wrap a ball carrier. Similar improvements in helmet technology, have, ironically facilitated the use of the head in tackling. When your head is in front of the ball, a lot of time what happens is that his head and your head collide. When [the students] see the rugby players tackle – and do so without helmets, without pads, and not get nearly the number of concussions that NFL players get, I think it will be beneficial. Absent pads and helmets, the importance of protecting the head becomes an issue not only for the tackled but the tackler as well. And, as the video makes clear, while force is necessary, the rugby tackle makes it clear that proper technique goes a long way. Can Safer Tackling Save Football? Steelers Nation reacted with outrage in 2010 when Roger Goodell and Ray Anderson scapegoated James Harrison in their attempt to reduce helmet-to-helmet hits. When Steelers fans fans complained that Goodell and Anderson were attempting to sissify the game, the Pittsburgh Post-Gazette’s Ed Bouchette cautioned that Pittsburgh legends such as Joe Greene, Jack Ham, Jack Lambert and Andy Russell managed to combined hard hitting with textbook tackling. At the time, it seemed like Bouchette might be offering a simple solution to the emerging CTE crisis. After all, the first known victims of CTE, Mike Webster, Terry Long, Justin Strzelczyk and Andre Waters had all played in the 80’s when players got seemingly exponentially bigger, faster and at the exact time when hitting was eclipsing technique in NFL tackling. Alas, we now know things aren’t so simple. With CTE diagnosis coming following the deaths of older players like Ken Stabler and Frank Gifford, and younger players like Adrian Robinson, we now know that the problem’s roots run far deeper. And it should be noted the specter of CTE is causing its own complications for sport of rugby. IF Football is to answer the threat that CTE poses to its very existence, then an effective response will likely come in the form of some sort of impact absorbing helmet technology, drugs that neutralize the TAU protein that causes CTE and safer tackling. If that day arrives, as anyone reading this surely hopes it does, then Rod Woodson’s rugby tackle crusade will have helped preserve the game we love. Concussion: The story of Dr. Bennett Omalu. 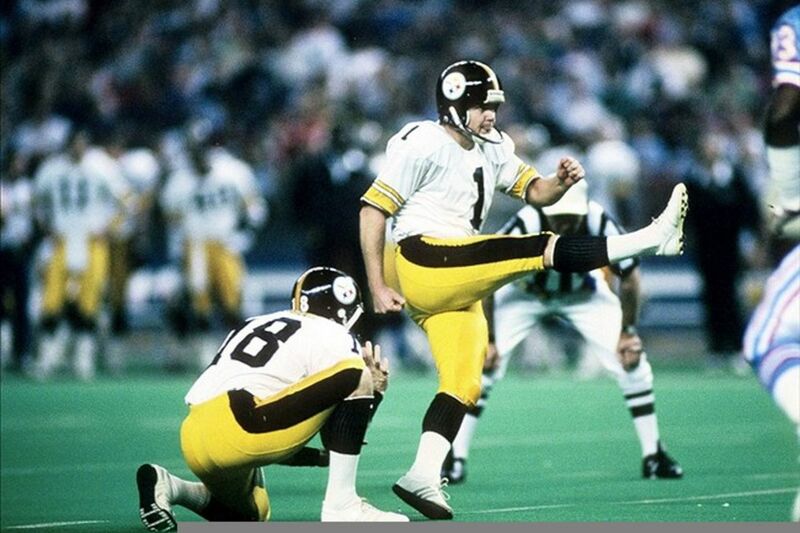 The tragedy of Mike Webster. The discovery of Chronic Traumatic Encephalopathy or “CTE.” The genesis of crisis that threatens the existence of the sport we love. When someone pens the definitive history of the NFL and its CTE-fueled head trauma crisis, Pittsburgh will occupy ground zero. 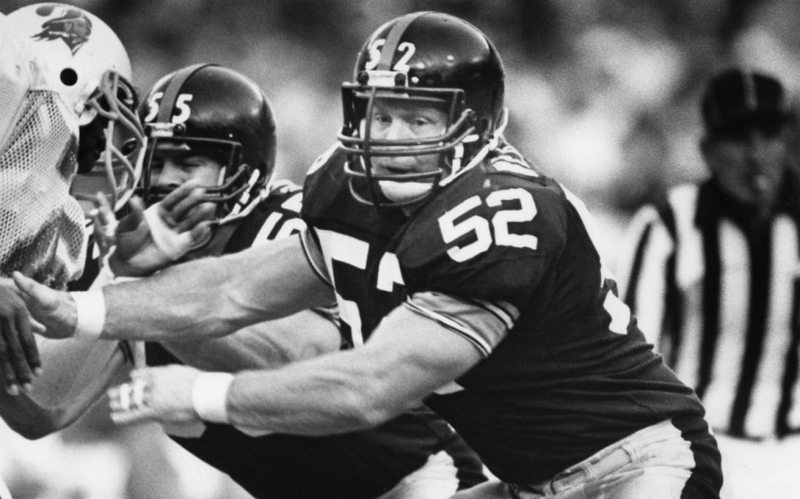 Steelers Hall of Fame center Mike Webster will play the role of patient zero. Dr. Bennet Omalu will act as the canary that sounded an alarm from deep inside the diamond mine. The hits that Mike Webster took in football that caused the CTE that took his life are in no way an aberration. Difficulties aside, Concussion tells a story that any conscientious football fan must hear. Steelers fans know it all too well. 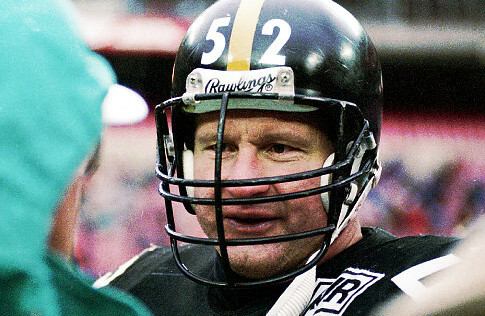 Mike Webster died at age 49, penniless and robbed of his wits thanks to the tau proteins that accumulated in his brain. CTE took Justin Strzelczyk two years later, at age 36 in a fiery wreck. Yet another year later, Terry Long ended his own life by drinking antifreeze while suffering from CTE. Less than one year ago, Adrian Robinson was posthumously diagnosed with CTE after committing suicide the age of 25. Concussion recounts the story of a young Nigerian doctor, who saw 2 + 2 not equaling four and insisted, at his own risk, on doing something about it. From an artistic stand point, Concussion represents a work of excellence. Its imagery and acting in many ways capture the essence of Pittsburgh. Will Smith provides an Oscar-worthy performance. David Morse became Mike Webster. While there’s an undeniable “David and Goliath” air to Concussion, the producers do tell a balanced story. They pull no punches when it comes to depicting the horrors of CTE and the resistance the NFL marshaled when Dr. Omalu refused to keep quiet. Yet, Concussion also conveys to the viewer the power and pull of football. Interspersed with live game footage showing Mike Webster taking hits to the head throwing blocks for Franco Harris or Rocky Bleier shots of Terry Bradshaw rocketing off bombs to John Stallworth and Lynn Swann epitomizing just how graceful a sport defined by brute force can be. The director takes some artistic liberties – depicting a meeting between Strzelczyk and Webster that almost certainly never happened. 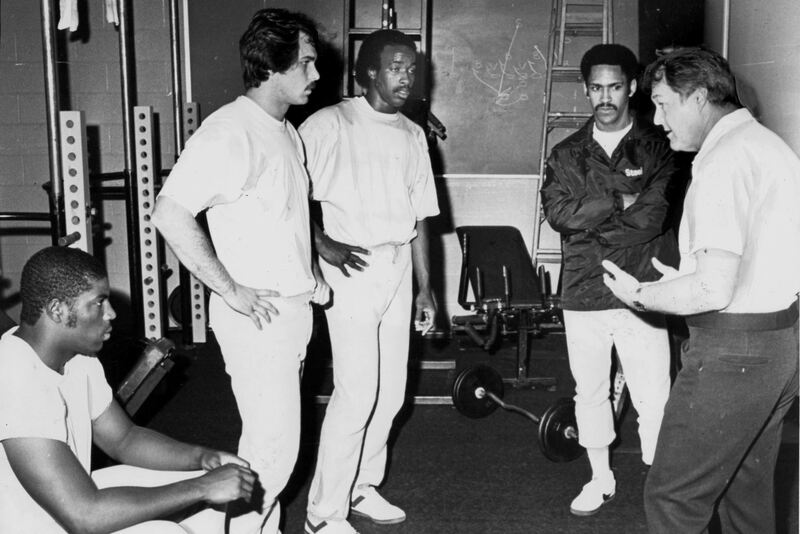 Another apocryphal meeting between Dave Duerson and Andre Waters one between serves the same purpose: To clarify football stands at the very crux of the tragic deaths suffered by these players. In Concussion, the NFL establishment plays the part of the antagonist. Yet Steelers Nation will likely see the portrayal of their Pittsburgh representatives, in shades of grey and rightly so. Concussion casts Dr. Joseph Marron the same Steelers doctor who once earned the wrath of this site, as one of the ultimate NFL skeptics and someone vehemently hostile to Dr. Omalu. But according to Julian Bailes, the movie casts Marron in an unfair an inaccurate light. Football forms a fundamental part of the fabric of Pittsburgh’s identity and the Rooney family has been pillars of the community. In an earlier scene, Danny Sullivan, a fellow doctor who plays Bennett Omalu’s antagonist in the coroner’s office pleads with Omalu not to press forward with a deeper investigation of Webster arguing that it was players like Webster who gave the city hope when J&L and the rest of the steel industry collapsing. WDVE’s Scott Paulsen spoke to that reality in his seminal essay “Steeler Nation” that provides a touchstone for both the city, the products of the Pittsburgh diaspora and the Steelers nationwide legion of fans. Before the 70’s, Pittsburgh was known for its steel. Since then it’s known more for the Steelers. Mike Webster talks to Don Shula before his final game with Steelers. Photo Credit: Gene J. Puskar, AP via Pro Football Talk. No one can dispute that. Still, several times during Concussion Mike Webster repeats, “If we finish the game, we win.” The movie’s none too subtle message is that perhaps the key to winning at football is not to play at all…. And it’s getting more difficult to dispute that. Fear not loyal readers, Concussion does not represent a “Come to Jesus” moment for this site on CTE any more than Adrian Robinson’s CTE diagnosis. Perhaps new helmet technology can dissipate impact to prevent the brain from sloshing against the cranium. Pittsburgh Post Gazette writer Ed Bouchette has commented that he’s seen hundreds of former football players grow into their golden years with sharp minds but with painfully broken bodies. Maybe some study will pinpoint the independent variable that correlates to the excellent mental health of those players. Perhaps an enzyme will be discovered that neutralizes the tau protein. Yeah, that’s the emotional side of my brain talking more than the intellectual side, for sure. Still, on January 29th 1974 – the famous 1974 NFL Draft where the Pittsburgh Steelers took a chance on an undersized center from Wisconsin named Mike Webster, the idea that someone with prosthetic legs could run marathons pure science fiction. So was the idea that you could communicate globally with a hand-held communicator. Now, both are realities. Early in the movie my wife asked me why so many ex-Steelers had CTE. I told her, “It was really just a conscience.” Later, I asked myself, “Was it because Chuck Noll was such hard driving coach?” After all, the Steelers were one of the last teams to stop live tackling in practice and Webster, Long, and Strzelczyk all played for The Emperor. If Concussion makes one thing clear, it is that neither of those explanations are valid. CTE was not discovered in Pittsburgh because football forms fundamental part of the city’s fabric. CTE was discovered in Pittsburgh because fate intervened allowing Webster, Strzelczyk and Long to find their end in a place where Dr. Omalu was practicing medicine and because Dr. Omalu refused to accept the simple answer and insisted on searching for the truth, even if it meant opposing some very powerful interests. The Pro Football Hall of Fame Selection Committee has announced the 25 finalists for the 2016 Hall of Fame class. In his first year of eligibility former Pittsburgh Steelers guard Alan Faneca has made it to the semifinalist round, and is joined by other recent retirees, Brett Favre and Terrell Owens. Former Pittsburgh Steelers defensive back, emergency quarterback, and defensive coordinator Tony Dungy has again made it to the semifinal round, as has former Steelers linebacker Kevin Greene. 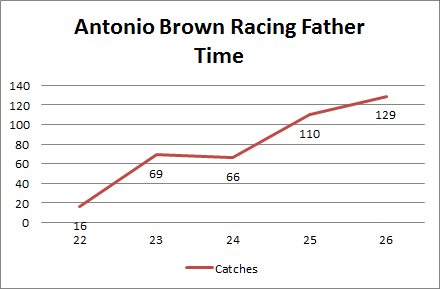 The Pittsburgh Steelers 1998 draft offers a model example of how long it can truly take to evaluate in NFL draft class. When Dan Rooney chose Bill Cowher over Tom Donahoe in January 2000, the Steelers 1998 draft was better known for busts like defensive tackle Jeremy Staat and failed offensive tackle Chris Conrad. Yet, during the 1998 draft the Steelers also picked Deshea Townsend, Hines Ward and Alan Faenca, who was easily Tom Donahoe’s best first round pick. Unlike defensive players, and offensive “skill” players, there are no statistics to measure the work of offensive lineman. Yet it is there toiling in the trenches that allows the quarterbacks, running backs and wide receivers to amass the video game like statistics that keep Fantasy Football owners happy. Alan Faneca was one of the better offensive lineman, and arguably the best guard in Steelers history. Everyone remembers Willie Parker’s 75 yard scamper to the end zone on Super Bowl XL. But what’s less memorable, but no less important, is that Alan Faneca made that play possible by pulling, and totally eliminating the Seattle Seahawks defender from the play, creating a giant hole for Fast Willie to run through. It is difficult to assess how good Alan Faneca’s chances of getting into the Hall of Fame are. The current group of 25 finalists will be narrowed further to a group of finalists, who will be debated by the Hall of Fame selection committee and announced prior to the Super Bowl. In recent years former Pittsburgh Steelers have suffered from the “Already too many Steelers in the Hall of Fame” bias, which likely delayed the entry of Jerome Bettis and Dermontti Dawson into the Hall of Fame. 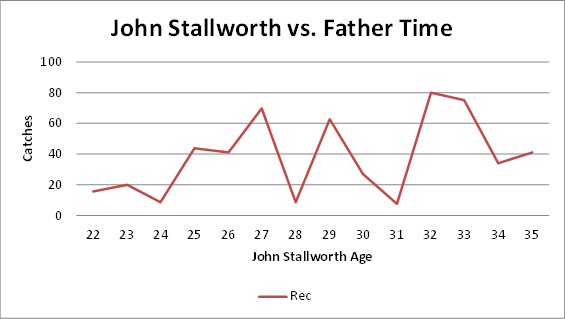 Offensive lineman, lacking quantitative measures, also often have to wait. Dungy, Greene, Knocking on Canton’s Door. Again. Both Tony Dungy and Kevin Greene have been NFL Hall of Fame Semifinalists and finalists several times before, but have failed to make the cut as finalists. The Pittsburgh Steelers signed Tony Dungy as an unrestricted rookie free agent out of Minnesota in 1977. Dungy, who’d played quarterback in college, spent a week working with the Steelers as a wide receiver before Chuck Noll decided to shift him to safety. Dungy remained at safety for two years with the Steelers, aside from a one game stint as Steelers emergency quarterback in which he managed to complete passes to both Lynn Swann and John Stallworth. 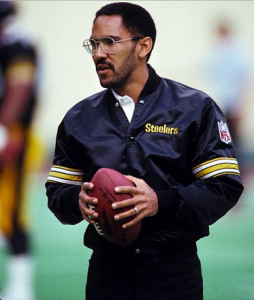 The Steelers traded Dungy to the San Francisco 49ers after Super Bowl XIII (after Dungy had made the game-saving on-sides kick recovery).In 1981 Chuck Noll hired Tony Dungy as a defensive backs coach, and promoted him to defensive coordinator in 1984 making him both the youngest coordinator in the league at that time, and the first African American coordinator. 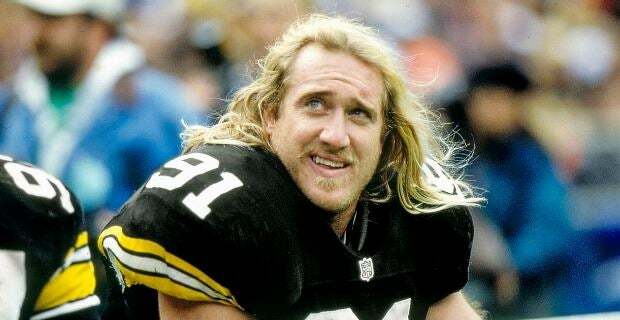 The Pittsburgh Steelers signed Kevin Greene as an unrestricted free agent from the Los Angeles Rams in the spring of 1993. In Pittsburgh, Greene made the switch from defensive end to 3-4 outside linebacker, where he started 48 games and 35.5 sacks. Jerome Bettis enshrinement in the Pro Football Hall of Fame is special in so many ways. It is an honor that Bettis fought hard to earn, and one that he accepts as the face of the Steelers franchise. Jerome Bettis richly deserves this individual honor. But it’s also special for Steelers Nation, because adding 1 Jerome Bettis Super Bowl ring to Canton unites the two Super Bowl eras for the Pittsburgh Steelers. That might sound strange, given that Bettis enters Canton with only one Super Bowl ring, whereas Joe Greene wears six, Terry Bradshaw, Franco Harris, Lynn Swann and Jack Lambert (to name a few) wear four Super Bowl rings. 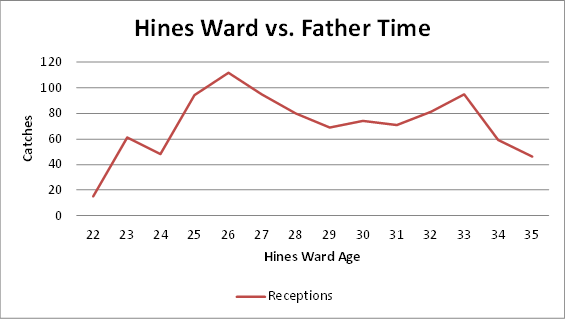 Troy Polamalu and, if there’s any justice in the NFL Hines Ward, will enter with two. Ben Roethlisberger, God willing, will enter with more than two. Yet Bettis, with his lone ring accomplishes something that none of the others, save for Joe Greene – thanks to his service as a Steelers scout – cannot. To understand how, its useful to borrow a concept from East African philosophy which divides humans into three categories, the living, the sasha and the zamani. Those recently passed away are the sasha, considered as living dead, because their memories live on in those who knew them. They only become truly dead, zamani, when the last person who knew them passes away. If you apply that concept to pro football, a player will not be truly “retired” until the last person who played with him leaves the locker room. 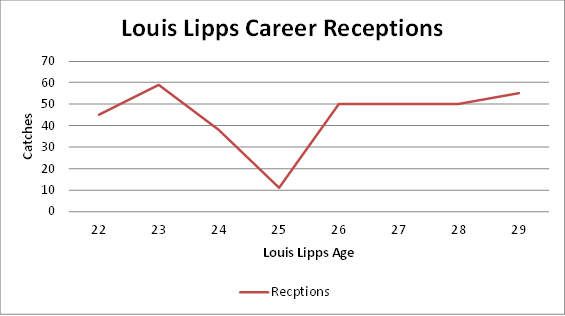 And if you apply the concept a little further, its easy to see how Bettis served as a bridge between the Steelers two Super Bowl eras. Jerome Bettis of course never suited up for Chuck Noll, nor did he ever run through a hole opened by Mike Webster, nor did he ever throw a block for John Stallworth. But these players were “sasha,” if we can continue to borrow these Kiswahili terms, because Bettis did play with Dermontti Dawson and John Jackson, who both manned the trenches alongside Webster as rookies. Bettis never shared a locker room with Dwayne Woodruff, but he did play with Rod Woodson, who used to room with Woodruff on the road and covered Stallworth in practice as a rookie. Those legends imparted their wisdom, if only by example if not through direct lessons, to the holdovers from the Noll era who were still playing for Bill Cowher when Bettis arrived in Pittsburgh. Jerome Bettis absorbed those lessons, and The Bus in turn passed that wisdom on to the players of the Steelers second Super Bowl era. The process also continues with the players who have succeeded Bettis. Willie Parker, Health Miller, and James Harrison couldn’t help but learn from the example Bettis set in practice, on the playing field, in the locker room, and outside in the community. And these mean have in turn passed on that wisdom to today’s leaders, such as Lawrence Timmons, Cameron Heyward, Maurkice Pouncey and Antonio Brown, and hopefully the players like David DeCastro and Le’Veon Bell. The Bus arrived in Pittsburgh on April 20, 1996. You generally measure progress of a vehicle in terms of distance. And measured by that metric Jerome Bettis 10,571 yards rushing in Pittsburgh was nothing short of incredible. In the entire history of the NFL only 29 running backs have broken the 10,000 yard threshold. Clearly, The Bus traveled far. But what’s perhaps more impressive, is The Bus’ travel through time, which allowed him to link Super Bowls IX, X, XIII and XIV with Super Bowl XL and Super Bowl XLIII and, who knows, perhaps Super Bowl 50 or above….